My computer is silent! (See history here and here.) It was the fan bearing after all. And rather than being without my computer for a couple of days, IT was able to hot swap my hard drive into another laptop. I don’t have to reinstall a bunch of programs. 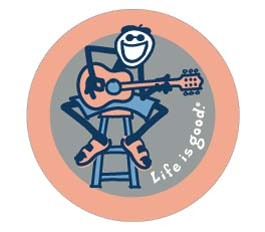 All I lost was about 45 minutes in computer support and my “Life is Good” sticker on the old laptop.